I was listening to this album while ironing tonight and wondering just how many hundreds of times I must have listened to it, first as a student, from LP, through to today as an MP3. The album was recorded in 1973 by Vangelis, who was later to be more famous for the soundtracks for the films Chariots of Fire, Bladerunner and Conquest of Paradise, and was his first studio album. 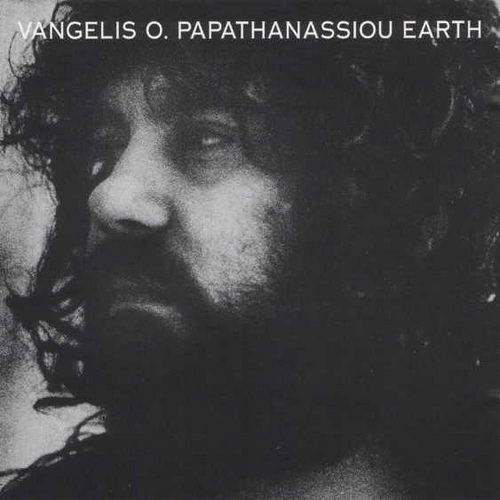 Earth seems like a natural continuation of the progressive rock sound of his earlier band Aphrodite’s Child (which, as an aside, also had Demis Roussos as a member) but is more visceral, with a sound that would now be seen as influenced by world music. This album is like an audio sculpture, with layers of voices, drumming, ambient sounds plus conventional acoustic instruments. Make no mistakes about it, while it’s challenging it’s also an album of its time. Tracks like ‘Let It Happen’ reflect the period they written in just the same way that Nick Drake’s Bryter Layter is of its time. A couple of years ago I tried to find an MP3 of this album as I only had it on vinyl. I was quite surprised to find it wasn’t available. Usually when a vinyl record isn’t available as a download there’s a good reason; they were pretty rubbish! I think this music deserves to be listened to by more people. In the end I made my own MP3 by ripping the vinyl record by routing my pre-amp output through Audio Hijack Pro and then splitting the tracks in Fission. This took quite a bit of time and experimentation but was well worth it; I’m always surprised how good the sound is and now (like Mary) I can have some much-loved music wherever I go!